The MuzicNotez Battles are starting up again! The battle starts with our Rock Battle featuring the artists below. Check them out and vote here for your favorite to win it all. You’ll have 10 votes per day for the next 2 weeks. We began updating our site to be more mobile, and have rolled out our home page already. Our team is diligently working on creating a mobile friendly version of the rest of the site’s thousands of pages. 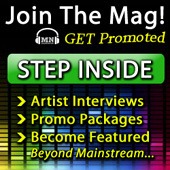 The mobile home page also features a link to our also newly updated Emerging Talent Radio. We added 50+ new artists from around the world and 3 new playlists to fit your mood and genre preference. These playlists are Headbangers (Rock/Metal), Beatz (Rap/EDM) and Jams (Folk/Reggae/Acoustic).